We’ve been talking a lot about Google Assistant in the past few months and for good reason. The Assistant is Google’s vision and has been since October of last year. Its pervasive nature has seen the Assistant move from phones to Google Home to Chromebooks to the browser and more. If Google’s grand plan is to get Assistant in as many places as possible, it is succeeding. At IFA Berlin, we’re seeing the first of what looks like a new wave of Google Assistant-powered devices from all sorts of manufacturers slated to be available later this year. From Panasonic, Anker and Mobvoi, IFA is showcasing the first line of non-Google devices with Assistant built in. 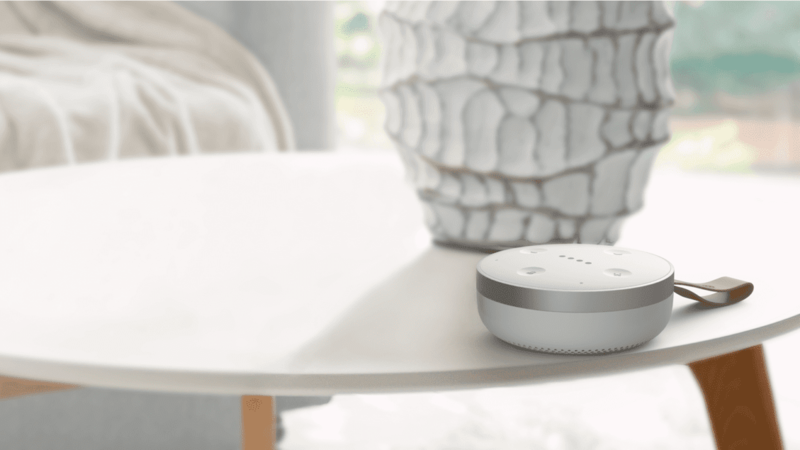 From wireless, waterproof speakers like the Mobvoi TicHome Mini to more standard devices like the Anker Zolo Mojo or Panasonic’s SC-GA10, the three devices unveiled at IFA give us some additional features Google Home doesn’t at this point. Probably the most interesting of the three is Mobvoi’s TicHome Mini (pictured at the top of this article). Waterproof, wireless, battery-powered and highly portable, this device delivers some features I’d love to see in my Google Home. Sure, the button interface may not feel as futuristic as Google Home’s LED interface, but if the speaker is decent on the TicHome Mini, the sheer portability and ruggedness will be a big selling point. Ultimately, we’ll get some of these devices for testing when they arrive (the software powering Assistant on these types of devices is a modified version of Chrome OS, after all), but more will follow. And, most likely, even more will follow those as well. Just like we are seeing Chromecast in both televisions and connected speakers left and right, in the next 6-12 months, we’ll begin seeing Google Assistant speakers all over the place. All the power of Google Home with variety, competitive pricing, and feature evolution. This is exactly where Google wants to position Assistant. And what that means is a progressively better and more adept digital assistant for users. As more and more people access Assistant to ask questions or command smart devices, the better it will get. Google gets the data they want, users get a more powerful Assistant for free. The coming months will be very, very interesting to follow. Will Assistant become a commodity? Will it be in devices we never saw coming? Or will this grand experiment fall flat and not gain legs? Only time can truly tell, but my guess is we are on the cusp of a Google Assistant barrage, and I’m very interested to watch it all play out.